When Svetlana/s.o.t.a.k handmade asked if I'd like to watch her new Craftsy class, I jumped right on it! I've made many of her patterns and tutorials, and am a real fan! Her class, Giftable Projects: Zippered Bags & Purse Organizer actually includes three projects: The Easy Coin Pouch, The Two-Zip Pouch, and her Keep-It-Neat Purse Organizer. 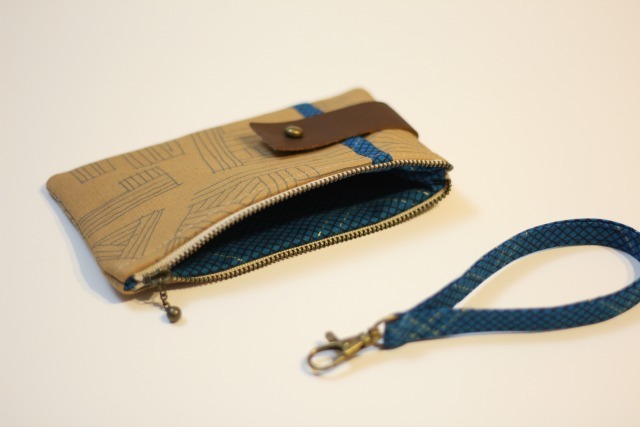 The projects are presented in order from easy and quick to more detailed, so obviously I started with the small coin pouch. Truth be told, I was over-eager, and jumped right in without having the suggested 5" zipper on hand, adjusting the pattern size ever so slightly to accommodate the 6" zip I did have. But the zipper had bronze metal, and I had no bronze snaps, so I mixed things up and chose to use a stud closure instead. And of course once I decided on that I opted to switch out the pocket tab for a scrap of leather. All that to say, maybe not the best idea if you are new to pouch-making, but once you have the basic techniques under your belt - and you will definitely get them in this class - you'll find pouches fun to customize. So personal tweaks aside, I did make a rookie oversight. In step one, Svetlena guided the making of a handy wrist strap but can you see my little predicament? Yup. My darling zip doesn't allow for the strap to be attached. So I guess I'll set it aside for another pouch! Meanwhile, I can highly recommend Svetlana's class. 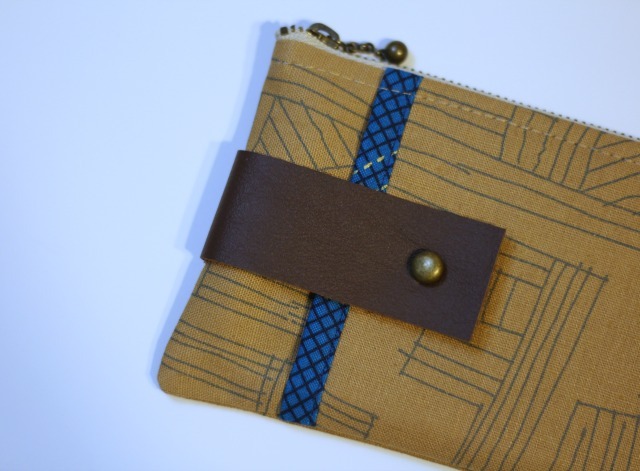 Though I only made one project so far, I reviewed all three of them, and found that Svetlana really packed in a nice variety of metal zipper applications and plenty of little tips throughout the lessons. 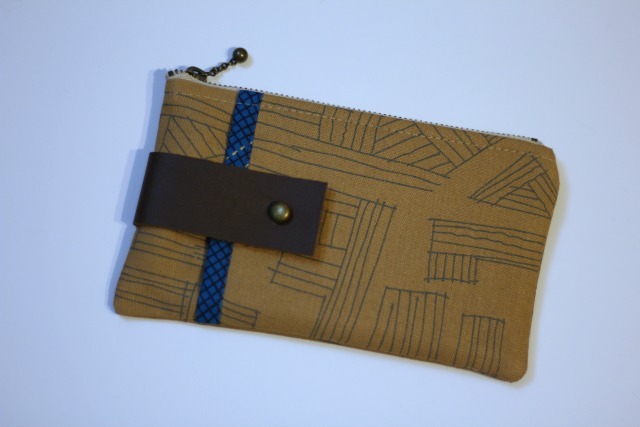 Plus she has a nice, comfortable teaching style and the Craftsy platform made it easy to follow along while adding a fun new way to take advantage of her delightful pouch designs. The one thing about video, is it clarifies every step so well. Metal zips especially can be a little intimidating to some, and if that's the case for you, I think you'll be pleased how Svetlana helps you master them while making three attractive and usable pouches. Looks like right now all classes are on sale too - bonus! I love all of Svetlana's patterns, so I'm sure that I would love this class! I've never used a stud closure and I'm not sure I've seen one either, so I'm curious to know how they work. Anyway, your pouch looks awesome! I love the leather accent, for sure.